Tradeline Companies » Everything you need to know in one page! Tradeline companies offer seasoned and authorized user tradelines for sale. You can buy legitimate tradelines from most tradeline brokers. The process is relatively straightforward, but the industry is ripe for abuse and fraudulent schemes and scam practices have emerged to ripoff unsuspecting consumers. The question is not whether tradelines work anymore, but whether you can find the right tradeline company with a moral compass. Some companies offer “cheap” tradelines, but that’s just a sign of new people trying to enter the market. You want a company that specializes in tradelines, not an individual pretending to be a company. Read the following FAQs to figure out how to identify the appropriate tradeline company for your goals. What is the best tradeline company on craigslist? First of all, craigslist is next to the worst place to search for tradeline companies. About 30 to 40% of our customers come to us after being ripped off by other companies. About 90% of those customers were ripped off by a “company” they found on craigslist. If all the contact information you have for the company consists of a first name and a magic jack number, you are just asking for trouble. Make sure your company of choice is actually a company (check their state department business records), see if they are bonded, check for reviews, etc. All Tradeline Companies say they are the best. How do I know who is the best? We believe Superior Tradelines, LLC is the best tradeline company, that “Superior” is not just part of the name, but also a part of our company philosophy. We are bonded with a $10,000.00 surety bond, comply with 817.7005, Florida Statutes, the Credit Repair Organization Act, etc. If you want to work with a bonded tradelines company, then Superior Tradelines, LLC is the only tradeline company you will find with a surety bond. What are the best tradelines to improve credit score? There are many types of credit you could add to your credit report. You could add auto tradelines, seasoned revolving tradelines, mortgage tradelines, etc. However, you should note that seasoned revolving accounts make up 40% of your FICO score (all other tradelines are much, much less). We specialize in revolving credit and find no reason to add lessor tradelines that do not have such a large impact on your credit score. Revolving tradelines are the best tradelines to add to your credit report. What is the best company offering and/or selling tradelines? Many companies offer tradelines. 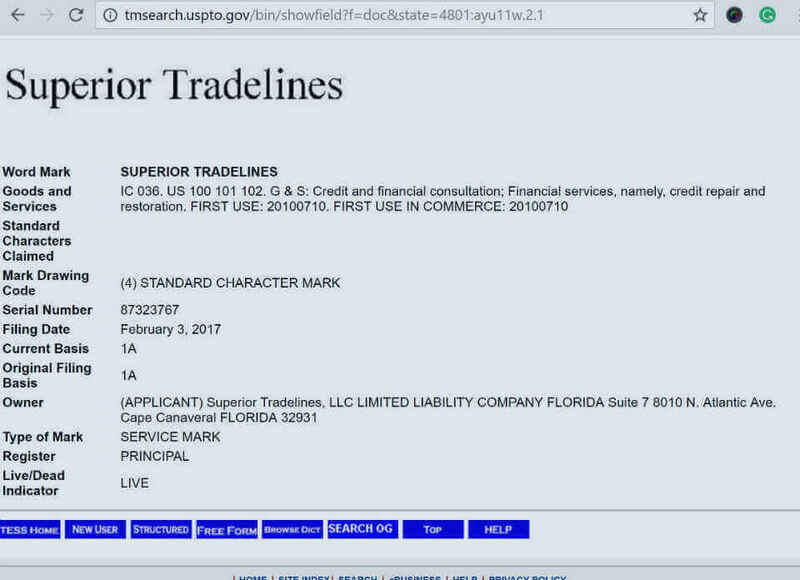 Some see tradelines as an add-on item to credit repair or other illegitimate practices like CPNs, etc. The best way to identify the companies worth working with is to ensure that they are an actual company. Make sure they are bonded and comply with crucial laws such as the Credit Repair Organization Act, etc. Question the company and if they are unwilling to answer your questions or take time with you, then move on. 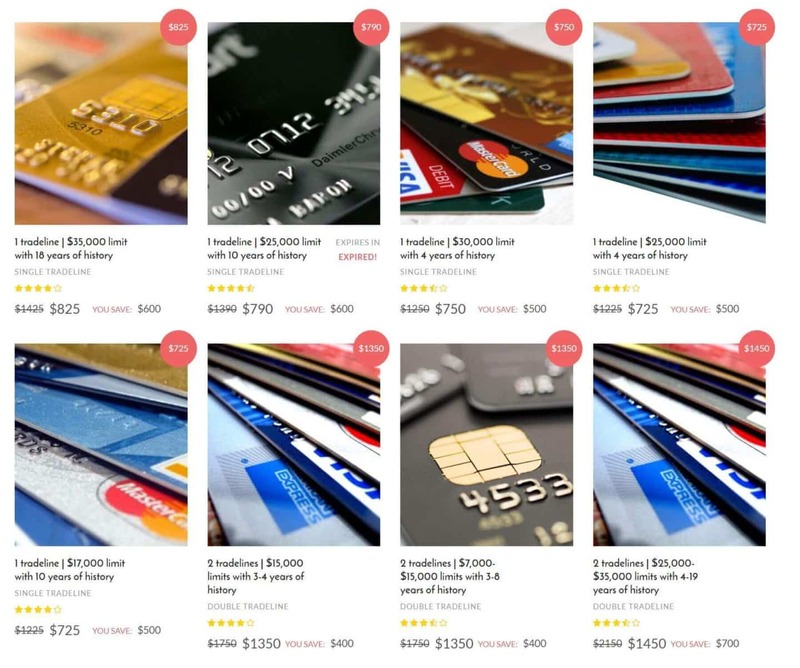 Where or what is the best place to buy tradelines? 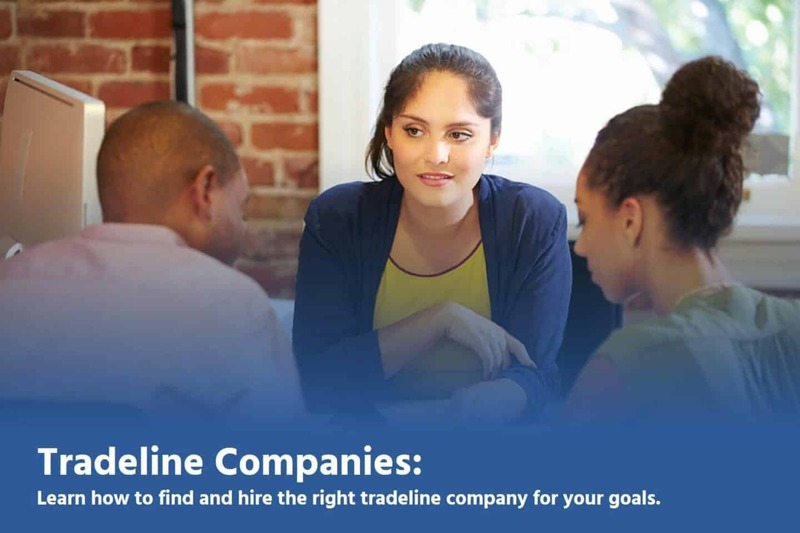 Tradeline companies have an instant national reach, so good companies and bad companies are likely to end up on your computer screen when you search “the best place to buy tradelines”. The location of the company is irrelevant. The critical question is, which company is the best tradeline company. 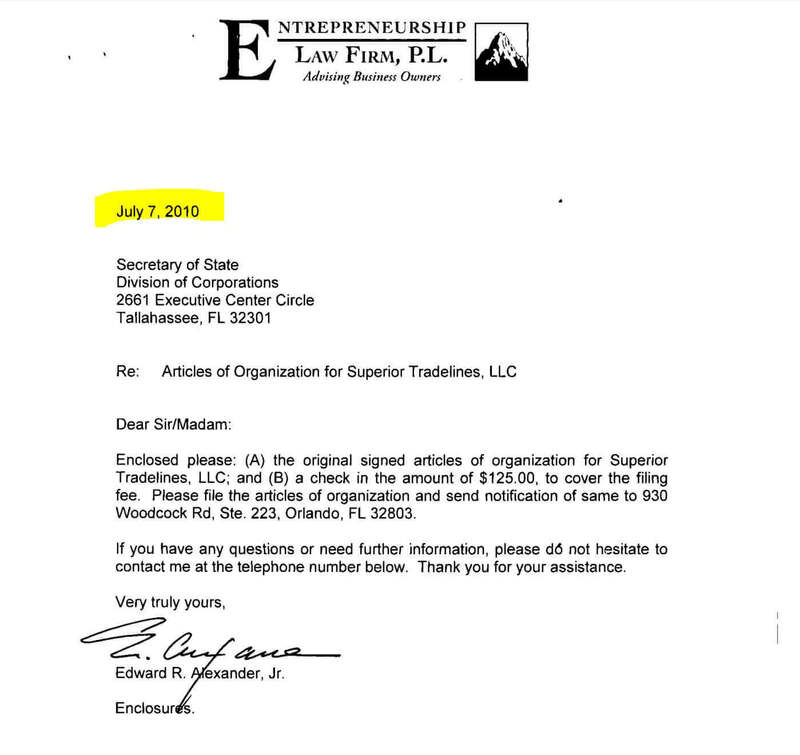 Superior Tradelines, LLC, is the best tradeline company. HI MY NAME IS DEMAR AND I HAVE A POOR CREDIT SCORE AND I WOULD LIKE TO IMPROVE MY CREDIT SCORE. I DON’T HAVE A WHOLE LOT ON MY CREDIT BUT WHAT I DO HAVE, IT IS NEGATIVE. THE LAST TIME I APPLIED FOR SOMETHING ON CREDIT WAS A CAR AND I WAS REJECTED. I THINK THE LADY SAID I HAD A 497 FICO SCORE. SHE SAID THE I LACKED CREDIT AND THAT WAS MY MAIN PROBLEM. I WOULD LIKE TO HAVE YOUR COMPANY TAKE A LOOK TO SEE IF ME PURCHASING TRADELINES WOULD HELP MY SITUATION. I AM A 46 YEAR OLD MAN AND I WOULD LIKE TO START INVESTING IN REAL ESTATE AND EVENTUALLY START A COMPANY THAT REHABS HOMES AND SELLS THEM TO LOW INCOME FAMILIES. THANKS FOR ALL YOUR HELP IN ADVANCE. Demar, great to hear from you. Awesome credit goal, by the way. We’d be more than happy to look over your credit report and provide a tradeline recommendation (which, based on what you’ve said, may include a recommendation for credit repair prior to adding tradelines). Unlike most tradeline companies, we will tell you the truth. In fact, we’ve recently launched a tradeline and credit simulation tool, which you can run yourself. Of course, talking to us (at 800-431-4741) is much faster. You can also email us a copy of your credit report to info@superiortradelines.com We look forward to working with you! It’s great how you offer your tradeline. But how about a new business of only 4 months how can I get to where I wast to be. If no one want to invest in a start up.. I am starting a business And I would like to improve my chances on getting a personal or business loan.Therefore my personal credit is not up to par I would like to get information on improving my credit soThat I am able to qualify for personal or business funding. I have a credit score of 700. I need so.e major accounts revolving. Help me! Sure, give us a call so we can discuss. I don’t get all this … How does CPN/Tradelines work? How do these companies get people to agree to offer their tradeline? What incentive is there for them to do it ? You should check out: https://superiortradelines.com/videos/ There’s some videos that explain everything in a very basis way. This will be helpful for some of your basic questions. The incentive to become a vendor at a tradeline companies is to be paid by the authorized user. I wanted to know does your company teach others how to actually add tradelines to your personal and business credit. However, if I’m missing the point of your question, please clarify and I’d be happy to answer further. Thanks for the comment! Okay, so, on the most commonly used credit score (FICO), an 850 credit score is not even possible in most situations. For example, the CEO of FICO once let it slip that they factor things like age and specifically said you can’t get to 850 until after age 40, no matter what’s in your credit report. Also, there’s no such thing as higher than 850 (on a FICO score). More importantly, why do you believe you need such a high score? If you have good credit, I suspect you’re score is qualifiable. If you have been denied, I’d like to know why, specifically. For example, did they say you don’t have enough accounts? If so, perfect: Tradelines can help. So, what is the situation? The quickest way to get the best answers is to give us a call at 800-431-4741 or get your free account by clicking here. Otherwise, let me know your follow up questions and I’ll be happy to answer. Free credit report analysis and recommendation. The most reliable company in the industry. $10,000.00 Surety Bond and Trust account for payment protection.